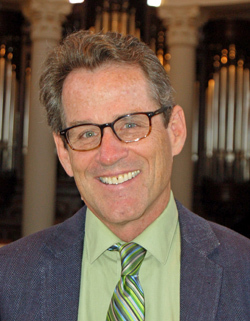 Gerald R. McDermott joined the Beeson Divinity school faculty in 2015. He is the author of Can Evangelicals Learn from World Religions?, World Religions: An Indispensable Introduction, God’s Rivals: Why Has God Allowed Different Religions?, Cancer: A Medical and Spiritual Guide for Patients and their Families, and The Theology of Jonathan Edwards. His academic research focus has been two-fold: Jonathan Edwards and Christian understandings of other religions. As a renowned Edwards scholar, McDermott has produced six books on Edwards, and his Theology of Jonathan Edwards (coauthored with Michael McClymond) won Christianity Today’s 2013 award for Top Book in Theology/Ethics. In total, McDermott has written, co-written, or edited more than eighteen books and scores of articles. Before coming to Beeson, he was the Jordan-Trexler Professor of Religion at Roanoke College since 2008 and on faculty since 1989. He is an Anglican priest, and is married to Jean. Together they have three sons and nine grandchildren.